The July 27 lunar eclipse lasting 1 hour and 43 minutes and will be preceded and followed by partial eclipses lasting more than one hour. Skywatchers across India will be able to watch a celestial spectacle on July 27, in the form of the longest lunar eclipse of the 21st century. The July 27 lunar eclipse, or chandra grahan, lasting 1 hour and 43 minutes will peak near midnight and will be preceded and followed by partial eclipses lasting more than one hour. 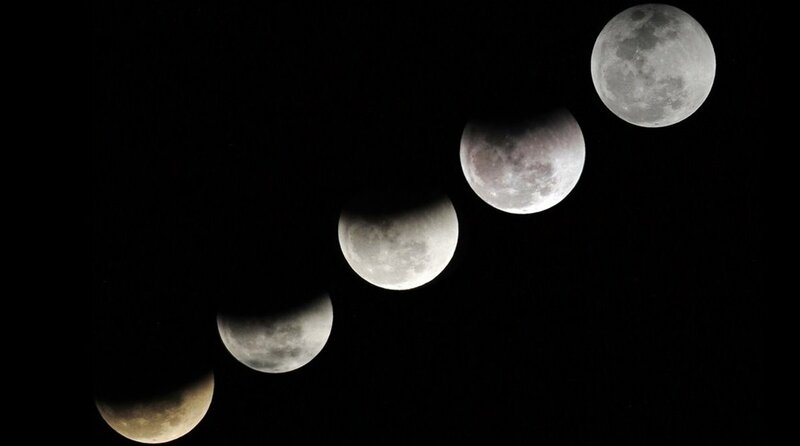 Here are 10 things that you should know about the timings of the lunar eclipse. 1. The lunar eclipse will be visible across India and in most parts of Europe, Asia, Australia and South America, and much of Africa. 2. In India, the July 27 lunar eclipse, both partial and the total, will be visible in its entirety from all parts. 3. The penumbral eclipse will start at 10.44 pm. The moon will be well above the horizon, near its apogee, the farthest point from Earth. It will be the smallest full moon of the year. The distance of the Moon from the Earth just before the eclipse will be around 406,223 km. 4. The umbral phase will begin at 11.54 pm. 5. The total eclipse will begin at 1 am (July 28) and soon the moon will appear to turn red. 6. At 01:52 am, the moon will look the darkest. 7. It will reach the edge of the umbra at 2.43 am and will emerge from the umbra at 3.49 am. 8. The Blood Moon will return to its normal self once it leaves the Earth’s shadow. 9. For a total lunar eclipse of such a long duration, the moon has to pass through the central part of the Earth’s shadow. 10. The previous total lunar eclipse was on January 31, which lasted 1 hour and 16 minutes. The next total lunar eclipse will be on January 21, 2019, and it will last 1 hour and 2 minutes.